1 Why Are Grapes Good For You? So, you don’t want the skin of the grapes? If you don’t want its skin, what should you do now? Do you want to peel it? But, do you know how to peel grapes? Well, here, I will provide you a guide on how you could properly peel the grapes. 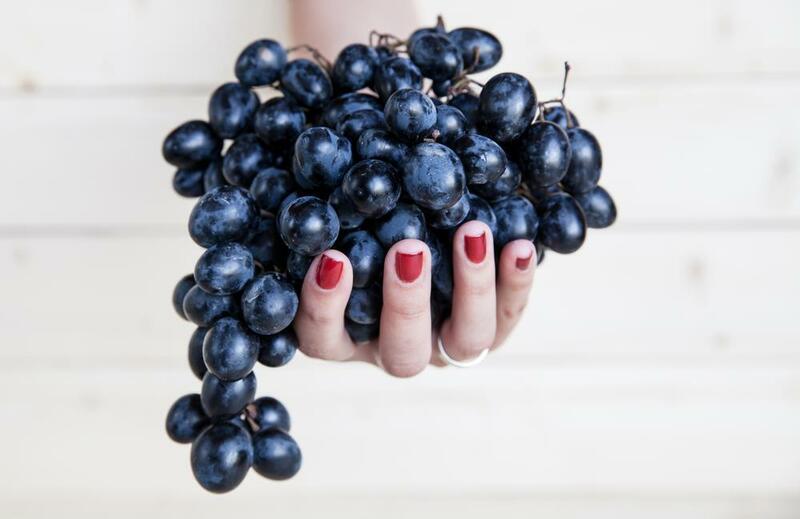 Yes, there is a fact that the skin of grapes is nutritious too, still, many would prefer to remove it. And there are also certain uses of peeled grapes, particularly in some recipes. Continue reading to know more about peeling grapes and everything you need to know about the said fruit. Why Are Grapes Good For You? A grape, botanically known as a berry, is a fruit of the deciduous forested vines of the recognized flowering plant named as the genus Vitis. 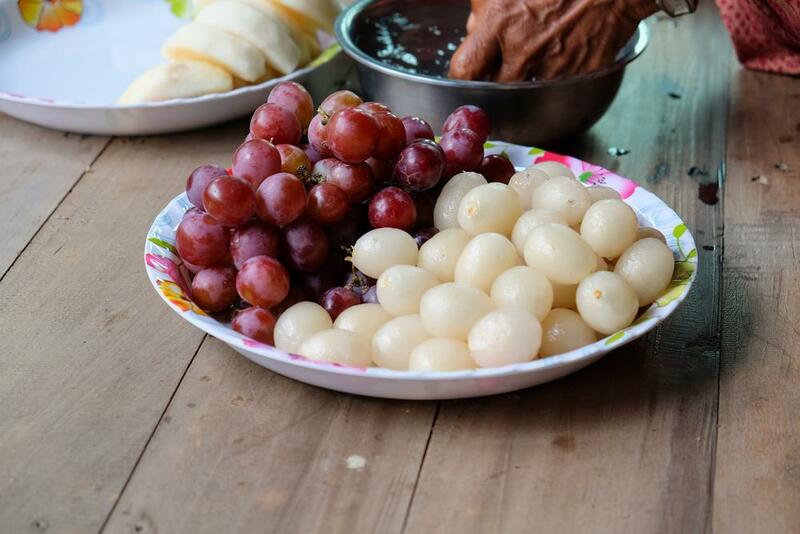 This fruit could be eaten fresh known as table grapes or they might be used for making grape seed oil, vinegar, raisins, grape seed extract, jelly, juice, jam and more. They are also non-climacteric kind of fruit that generally occurs in clusters. The combination of its unique texture as well as sweet and tart flavor has made these grapes as popular as a between-meal snack and also a refreshing addition to most vegetable and fruit salads. In addition, grapes are also referred as small round or oval berries which feature semi-translucent flesh that is encased by a smooth skin. There are grapes that contain edible seeds but others are seedless. And the same with blueberries, grapes are most of the time covered by a protective and whitish bloom. 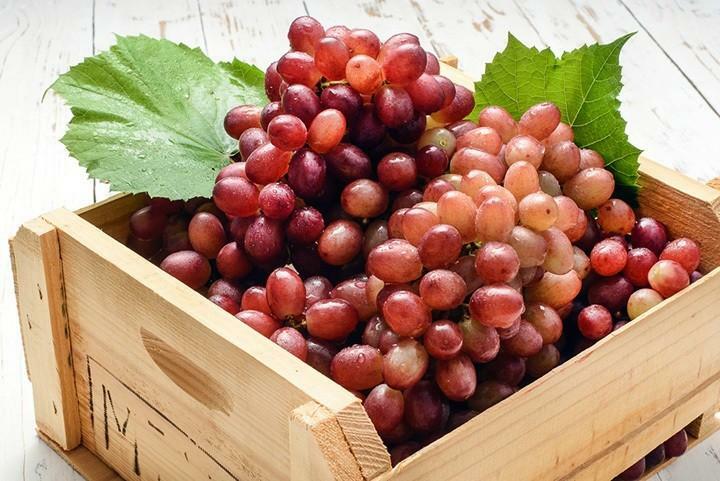 Table grapes are those grapes which are eaten as is or those that are used in certain recipes while wine grapes are used in viniculture and raisin grapes are used in making dried fruit. With this, you will consider the table grapes and the way they should be peeled. Let us now learn how to peel grapes. The process could seem to be so easy but still, you need to be careful. The natural inclination is that to pull a grape off the cluster then pop it straight into your mouth. Well, the skin of grapes is edible though they are difficult to digest especially for small children so peeling the grapes becomes necessary. If you are to peel the grapes, it would make the digestion process a lot easier and it would also eliminate the risk of any illness from the pesticide residue. There is also a need to remove the skin of the grapes once you plan on making grape jam or jelly since the skin won’t break down along with the pulp. You could peel your grapes with the use of a knife. 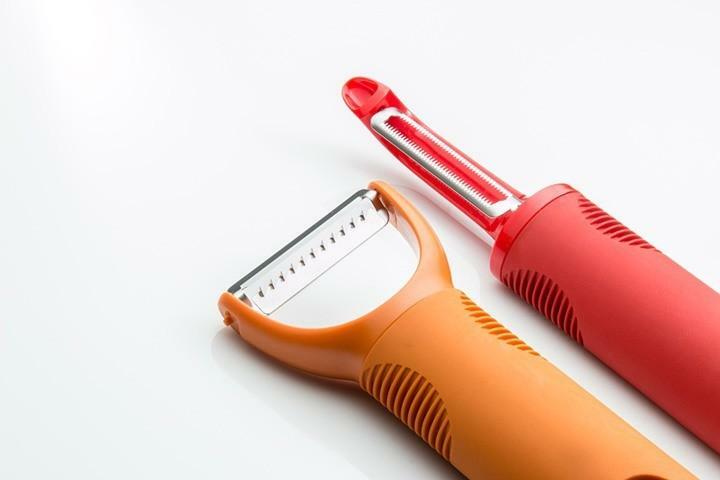 A good peeler might also be considered or you could use your fingernails instead. Try to experiment with the said weapons and choose whether which one is a lot more comfortable to use for peeling grapes. Before you peel the grapes, properly wash the fruits first. Due to the frequent use of certain insecticides and pesticides, it might be possible that the grapes are full of chemicals so it is important that you clean the grapes very well. Eventually, you will be peeling them but still, you must clean the surface well in order to ensure double safety. There is a need for you to slowly concentrate on the process of peeling. Hold the knife or the peeler with the use of the fingers and not by the fist. Once you begin using the thumb, you should add some extra force on those small grapes. You have to peel the grapes very delicately but don’t use too much force as this might ruin the shape of the grape and would lead to a very dirty look too. Now, begin peeling from the stem portion of the said fruit. Just slowly do it, hook into the stem section, create a hole in it and peel the skin carefully towards your side. For those who will not use peeler or knife, fingers would work best for this purpose. Grapes are known to be small in size so this is one of the reasons why peeling the grapes is considered to be comparatively easy compared to peeling ﻿﻿anything else. There is just a need for you to peel the grapes forward towards you and must not be backward like in other cases. And finally, you can turn the grape slowly for the skin section to open up. You might notice that the peeled section would reveal the slippery part of the grapes so there is a need for you to be very careful or else the grapes would slip off. Nevertheless, with a little patience and also some practice, you will definitely learn the tricks on how to peel grapes a lot sooner. This fruit is rich in antioxidants like flavonoids and resveratrol. 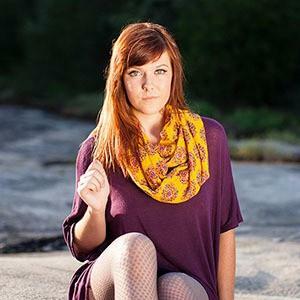 This has the ability of providing dietary fiber. In order to lose weight, you have to eat more foods and that includes grapes which are low in energy density or calories. This would help you feel full on fewer calories. Eating grapes will help you maintain a healthy weight. There are polyphenols that are found in grapes that are capable to reduce the risk of heart diseases and would support a healthy heart through promoting relaxation of the blood vessels and to help in maintaining a healthy blood flow and function. 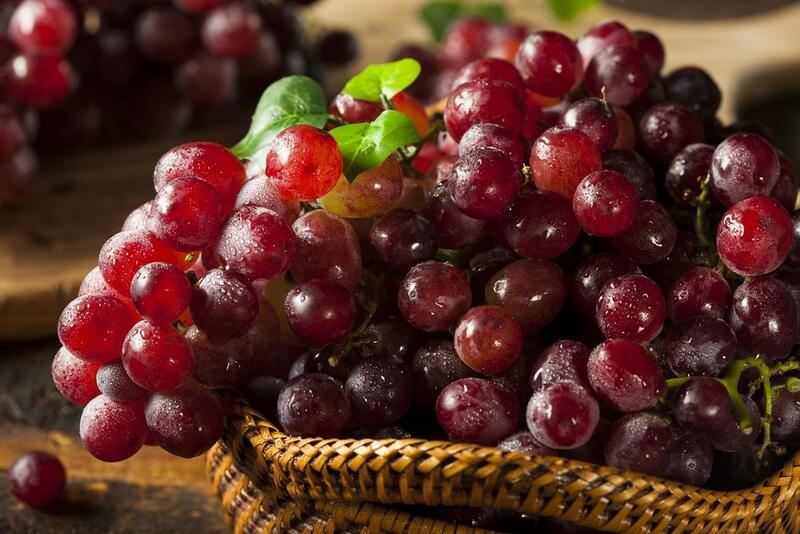 Grapes are advised for those people with high blood pressure in order to negate the effects of sodium on the body. ​Regular consumption of grapes might play a great role in the eye health through protecting the retina from deterioration. And also, a grape-enriched diet would lead to a protective effect on the retinal function and structure. 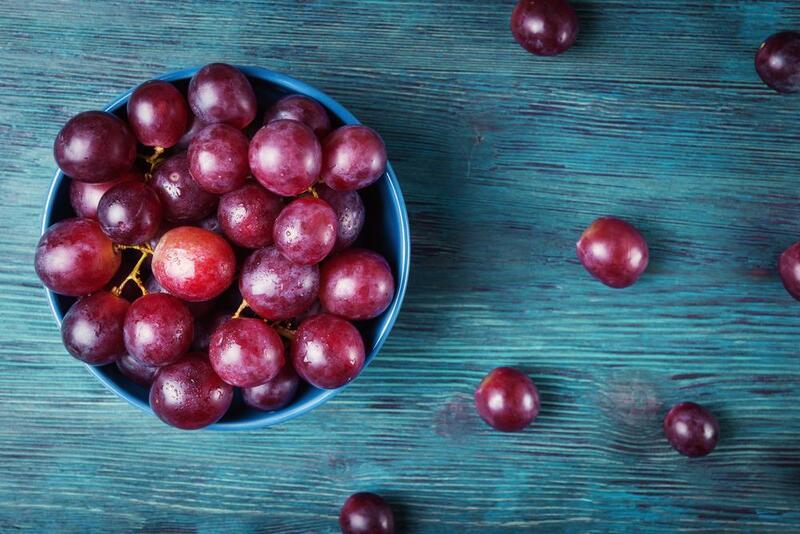 Consuming grapes show to inhibit certain genes promoting tumor growth. Indeed, grapes play of great role in maintaining a healthy colon. This fruit might taste sweet but they don’t elevate the blood sugar and they don’t significantly increase the insulin levels. With this, diabetics could eat grapes. And also, choosing foods having a lower response rate of insulin such as grapes could stop you from developing the insulin resistance characteristic of the Type 2 diabetes. Indeed, these many health benefits of grapes have made them a superb choice for a more satisfying and healthier diet. Fruit is definitely an important part of your diet that supplies essential minerals and vitamins, therefore, contributing to the overall health. So, add more grapes into your diet and peel them if you want too. 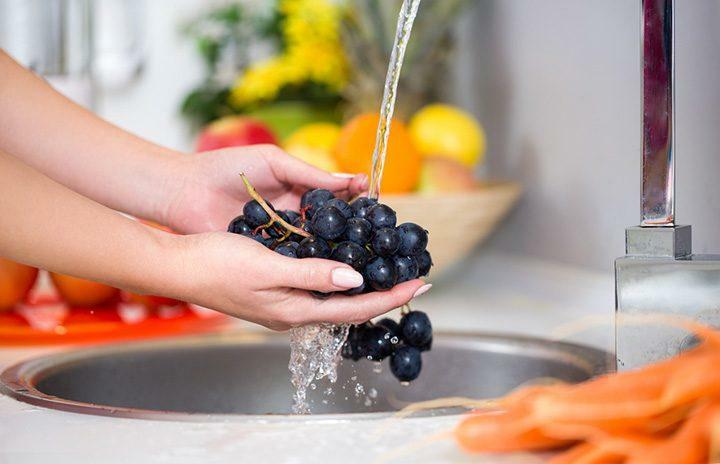 Wash the grapes under cold running water before you eat or consume them. After washing, you need to drain the grapes in a colander or simply pat them dry gently. For those who will not use the whole bunch at a time, you might use scissors in order to separate the small clusters of grapes from the stem rather than removing the individual grapes. With this, the remaining grapes will stay fresh and will prevent the stem to dry out. There are some recipes that would require for peeled grapes, however, there is a need for you to evaluate the recipe to see whether including the skin will greatly change the texture and taste. And bear in mind too that skin of grapes could offer vital nutrients. So with that, it is recommended that you include the skin to reap its nutrients too. Nevertheless, if you will use peeled grapes, the American varieties are the best options since their skin could be readily pulled from the pulp. Grapes will retain the maximum amount of its taste and nutrients once enjoyed fresh or not included in a certain recipe. 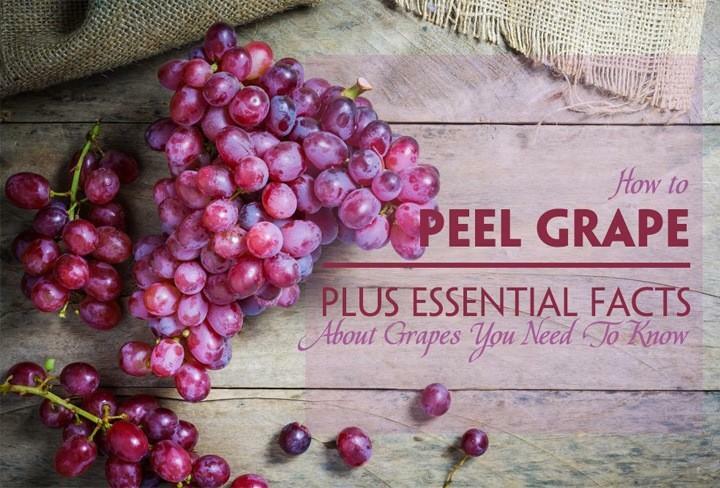 Have you learned how to peel grapes now and some of the essential facts about the said fruit? I hope so you already did! This tutorial is a great guide that will help those who preferred eating peeled grapes. You can watch this as a tip on peeling grapes. Share with us your experience on peeling grapes by writing your comments below. Share this article to your friends and family and help them learn the right way of peeling grapes! Happy reading everyone! You might also like : Healthy Steamed Sweet Potato: How To Make One?